No measly imitation, this is a poignant step along the same path set by the masters. It perhaps makes perfect sense that the Charlie Byrd and Stan Getz classic Jazz Samba was recorded in a church. There was, after all, something intently spiritual about the blending of bossa nova and American jazz that took place over three hours on a February day in 1962. And there is something altogether spiritual about revisiting the music, even through the eyes of another. Featuring vocalist Lynn Véronneau, guitarist and vocalist Ken Avis, guitarist David Rosenblatt, and drummer Pete Walby, Veronneau is one of those acts that always seems on the precipice of something special. Their delightful Joie de Vivre introduced their amalgam of Latin, gypsy, American, and French Canadian music to the world and landed warmly in the number nine spot on JazzWeek’s World Music chart. Jazz Samba Project carries the same exhilarating life-force as Joie de Vivre, but this record feels slightly more focused. The songs are gorgeous and graceful, led as they are by Véronneau’s sophisticated, sweet vocals. While Jazz Samba received credit for uniting two musical hemispheres, Jazz Samba Project deserves credit for exploring how analogous things can be when they fall along the same spiritual lines. It may be bold to suggest that Veronneau has created a spiritual companion to Getz and Byrd’s piece of art, but there’s little that seems to discount such a statement. 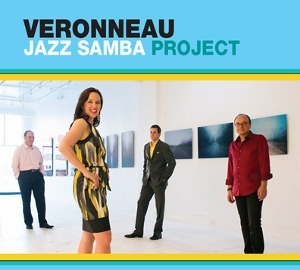 While almost any group can rework the past, Veronneau’s real skill comes into play when they paint outside the lines and carry other fragments inside the Jazz Samba ring. For Jazz Samba Project, this means making use of Bob Marley’s “Waiting in Vain.” Featuring trombonist Jim McFalls, this arrangement manages to splice slight kisses of bossa nova with Jamaican reggae to create an elegantly sun-kissed number. Véronneau’s vocals blend impeccably with the guitars of Rosenblatt and Avis. Her upper registry is clear and natural, so she is able to knock the lights out with the higher notes without sounding like she’s reaching for something. By releasing another album that serves to fuse various musical traditions without diminishing the passion at their respective cores, Veronneau has cut to the spiritual centre of Getz and Byrd’s classic Jazz Samba. This Jazz Samba Project is no measly imitation; it is a poignant, exquisite step along the same path set by the masters back in a church in 1962.